Integrity, Dedication, & Hard Work. We're here to build your brand with the standards you expect. We're here to help you accomplish your goals. Building your brand to serve a higher purpose. A very simple approach to working together. We treat you the way you should be treated. At Installation Solutions, we know it's your vision that's gotten you this far, and we'd like to partner with you to realize the next phase of building your brand. We believe that good project management takes more than a catchy slogan. It's the result of an ongoing commitment to integrity, a goal reached only through years of dedication and hard work. In a fast-paced, constantly evolving business environment, quality project management is a moving target that requires a hands-on approach. That's why we utilize on-site quality assurance and experienced project Managers. Our dedicated staff will take your vision seriously and cater their approach to your specific build-out, redesign or remodel needs, from concept to completion and on into the future of your venture. Our success depends on yours, and we take that very seriously. Completion of multiple location install that required a 16' box truck pick up to gather client kit at warehouse. Our crews completed a required questionnaire, re: pictures, marked up prints to determine fixtures and media per location. 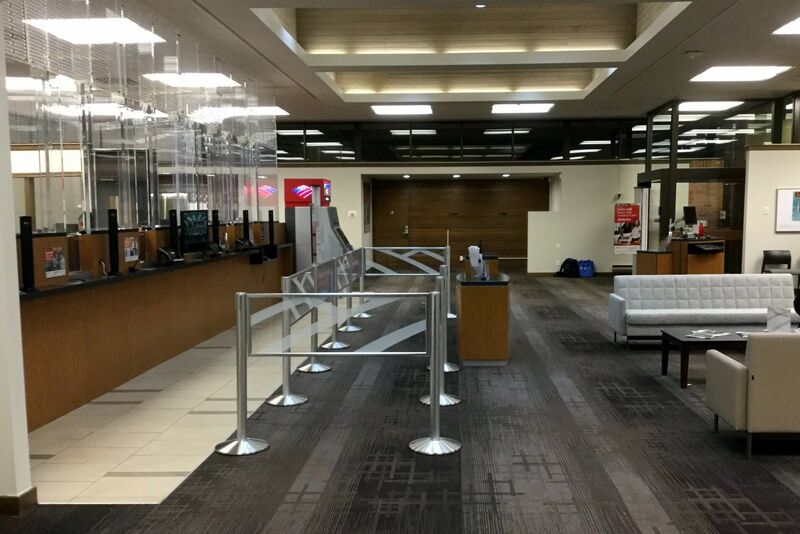 We completed the installation of graphics, fixtures and millwork. We also returned unused components/elements and debris to client warehouse.